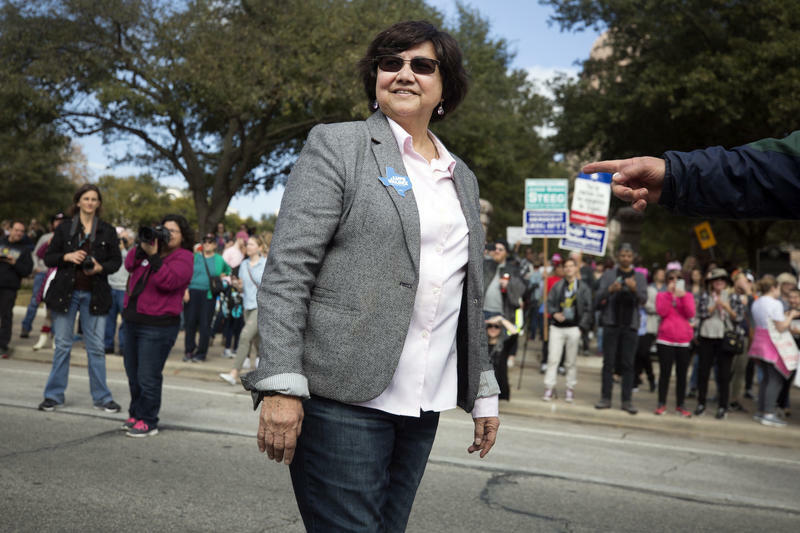 Lupe Valdez, pictured earlier during her campaign, has won the Democratic gubernatorial runoff. Valdez focused her speech on economic issues and recounted her personal story: growing up the child of migrant farm workers, being the first in her family to go to college, becoming the Dallas County sheriff in 2004. She was the first woman, first Latina and the first lesbian in that office, too. She said all Texans should have pathways to success like she did. “But there is no real opportunity without security — the security of having the food on the table, keeping the job if you’re sick, and of course, having your children be able to go to school and return back home,” she said. Enthusiasm in the room aside, Valdez told her supporters there’s an uphill battle ahead. “Now comes the hard part. Governor Abbott and his special interests and big donors are going to come out swinging, and so are we,” she said. 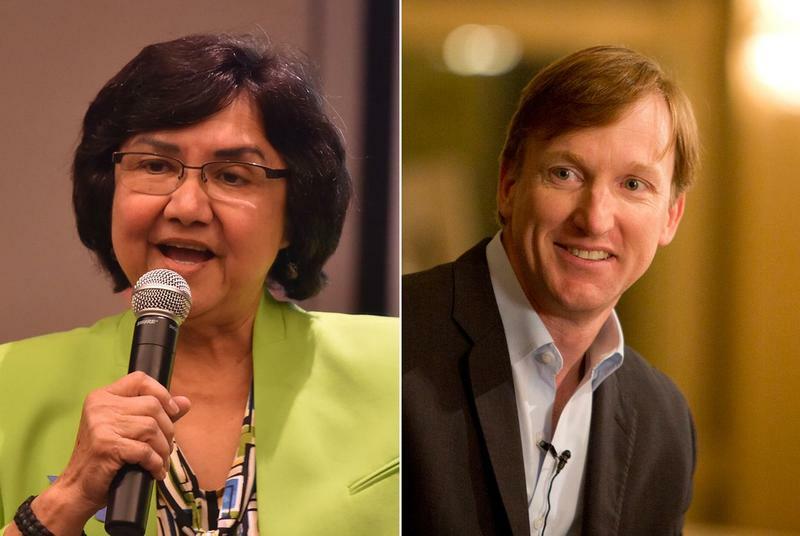 As if on cue, Abbott’s campaign launched a video attacking Valdez moments after she clinched the victory, pointing to newspaper editorials that call her weak on policy and clips of pundits calling her a bad candidate. Abbott has been attacking Valdez with videos for the last weeks for, among other things, her opposition to Senate Bill 4, a law that forces local governments to comply with federal immigration authorities. Abbott is an incumbent, a pretty popular one. He’s a Republican in a bright red state. Plus, he already has a boatload of campaign cash, more than $40 million at last count. Valdez’s fundraising has been anemic. To have any hope against Abbott, she’ll need the votes and campaign contributions of the Democrats who wanted Andrew White to beat her. For his part, White endorsed her in his concession speech. At the Valdez victory party, supporter Brandon Vance was upbeat but cautious and said winning will take a lot of work. “Visiting every county, getting out there and meeting people all across the state, and not just relying on the [Latino] vote, not just relying on the black vote, she’s going to have to reach out to folks and get them excited, get them fired up,” he said. Dallas County Commissioner Elba Garcia said the real element that could propel her friend to victory is Valdez herself. But it’ll take a whole lot more than that for a Democrat to win — Texas hasn’t elected one to any statewide office since 1994.